County Tipperary Audio Guides will lead you to hidden gems and off the beaten track to heritage sites located right across the county. You can explore some of these great sites with our free to download audio guides. Located in a picturesque corner of North West Tipperary, Cloughjordan is surrounded by lush green pastureland and damp peat bogs. The area has attracted settlers as far back as the remote prehistoric past. 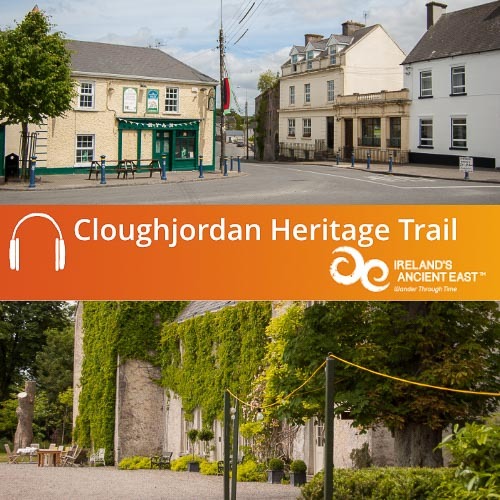 This Abarta Audioguide will show how Cloughjordan became established as a town during the medieval period, and how a brave crusader gave the town its unusual name. You will also hear about how John Harrison began the process of modernisation after the Cromwellian Wars and how the railway connected Cloughjordan to the furthest reaches of the world. The guide also introduces the story of Thomas MacDonagh, Cloughjordan’s most famous son, a loving father and husband, a teacher, a poet and one of the leaders of the 1916 Easter Rising, a martyr for Irish freedom. You will also hear about modern life in Cloughjordan, and hear the story of the feared Toomevara Hurling Team. 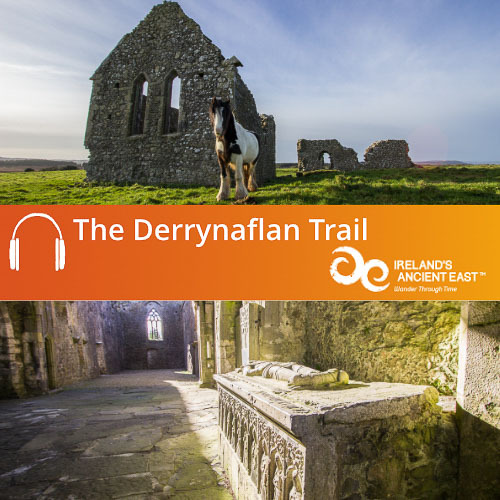 The Derrynaflan Trail will lead you around the beautiful landscape of the Slieve Ardagh region in County Tipperary, and through thousands of years of history by following in the footsteps of some of the first Christians in Ireland. The remains of these wonderfully atmospheric and evocative sites have suffered Viking raids, the dissolution of the monasteries under King Henry VIII, Cromwell’s armies and the ravages of time and still have a great story to tell. Our guide takes you to sites like Holycross Abbey, one of the finest and most visited monastic sites in Ireland, Kilcooley Abbey with its incredible medieval sculpture, Buolick where you can see the remains of Norman fortifications alongside a fine towerhouse and beautiful church, Crohane where you will hear about a bloody battle where the tables were turned on a band of Viking raiders, and Derrynaflan itself; a peaceful and tranquil place, a church on a green island surrounded by bog, and the place where an incredible treasure was discovered. This guide was produced in conjunction with Slieveardagh Rural Development, Holycross Community Network and Littleton Development Association.